In a career that spans two decades, Terence Fixmer reached worldwide recognition with the release of his debut album Muscle Machine on DJ Hell’s seminal International Deejay Gigolos imprint in 1999. The album opened a whole new genre by combining Electro, Industrial, EBM and Techno into a more dance floor-focused EBM style, simply called ‘Techno Body Music’. Tracks like “Electrostatic”, “Body Pressure” or “Electric Vision” today remain modern classics. Ever since the release of this groundbreaking debut LP, the Antwerp- based French producer and live act has consistently explored and redefined the boundaries of modern Techno – and he is not slowing down. In 2003 Fixmer teamed up with Nitzer Ebb’s lead singer Douglas McCarthy to form Fixmer/McCarthy – their partnership pushed the genre of Techno EBM to the maximum, resulting in two full-length albums, Between The Devil (2004) and Into The Night (2008). The duo has performed their energetic live sets at numerous renowned clubs and festivals all across the globe, functioning as a bridge between the Techno scene on the one hand, and the alternative EBM/Gothic scene on the other. Fixmer/McCarthy earned respect in the global scene for their unique way of creating truly pioneering sound fusions by elegantly blending the aggression of Techno Body Music and the sensuality of Electronica. In the years to come, Fixmer experimented with increasingly deep and dubby atmospheres and finally re-invented himself with his fourth solo album on Speedy J ́s label Electric Deluxe in 2010. Comedy Of Menace is a true Techno album: dark, hypnotic and energetic. Further releases on Electric Deluxe, Prologue, CLR, Deeply Rooted and his own label Planete Rouge have followed since, as well as a remix 12″ on Ostgut Ton in 2015. His expansive discography under his real name as well as with his various alter egos Eisbär, Cyborg, Gemini 9 and Scanner has proven Fixmer’s continued relevance and restless drive to create experimental, mind-bending, ruthless and unrelenting sounds, way beyond the musical mainstream. 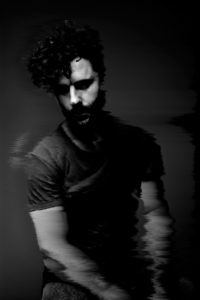 Terence Fixmer ́s music maintains musical depth and integrity, even in a club- or festival-context, and it appeals as much to dancing feet as it does to the searching soul. His fifth solo album Depth Charged (CLR, 2015) proved this with certainty and excellence, and was followed by the Beneath The Skin EP, his first solo release on Ostgut Ton.